Even if you aren’t looking to become the next Albert Einstein, scientific research shows that nurturing your curiosity can make you smarter and open to new experiences. Not to mention making you happier! Instead of trying desperately to explain and control our world, as a curious explorer we embrace uncertainty, and see our lives as an enjoyable quest to discover, learn and grow. In fact, we are all born with the curiosity gene. Babies are naturally curious, with an insatiable desire to learn. Children are constantly asking questions and exploring the world around them. Young adults are always meeting new people, trying new things, and processing new information. But as we get older, curiosity can take a back seat to the daily grind. Instead of learning new things or researching new ideas, many adults spend more time memorizing answers and doing repetitive tasks. But, according to experts, curiosity can be relearned! Health: Researchers have found a correlation between a high level of curiosity and good health. Be curious, be healthy! Happiness: Curiosity has been linked with higher levels of positive emotions, lower levels of anxiety, and more satisfaction with life. In other words, curious people are happy! Intelligence: Asking questions improves problem-solving and studies have shown that curiosity positively correlates with intelligence. Relationships: Showing curiosity about others (without prying!) is one way to build better relationships in your life. And Curious Cape May is on mission to awaken the inquisitive gene that we all have in us. Join us on this new adventure as we look at this amazing seaside resort through a new lens. And together we will learn about the unique history of Cape May and its interesting inhabitants over the years. 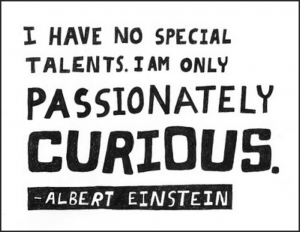 Be curious, be passionate, be happy!